The shopping habit of people changed with the advent of e-commerce websites that enable the users to purchase products within a few clicks online. And, the number of people shopping online is also increasing exponentially. To meet the growing demands of consumer products like t-shirts, brands and retailers have to produce new designs and looks for products that will satisfy the increasing customer base. Letting your customers design their own t-shirts is the perfect way to balance demand and supply. Personalized t-shirts are a big hit among all age groups across the world. Online t-shirt design tool is the solution that helps e-commerce or printing businesses meet their customers’ expectations. 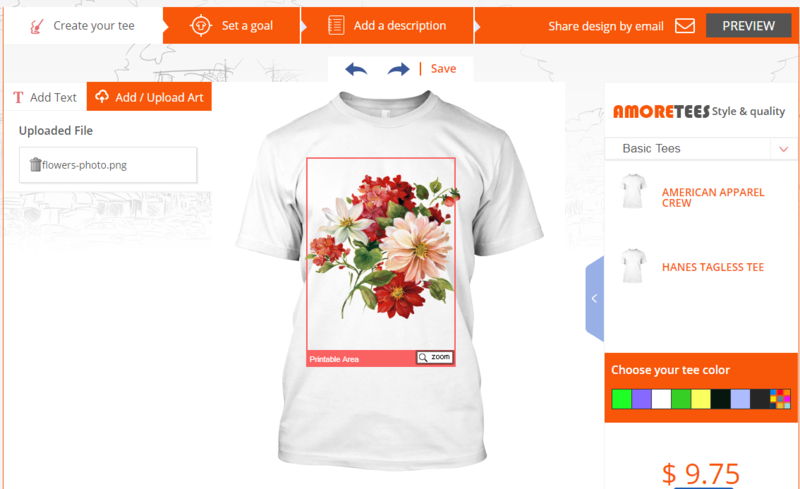 This tool allows the end users to create innovative t-shirts quite easily and enable them to personalize t-shirts as per their own tastes and preferences. They come with varied advance features that make t-shirt personalization interesting and full of fun. 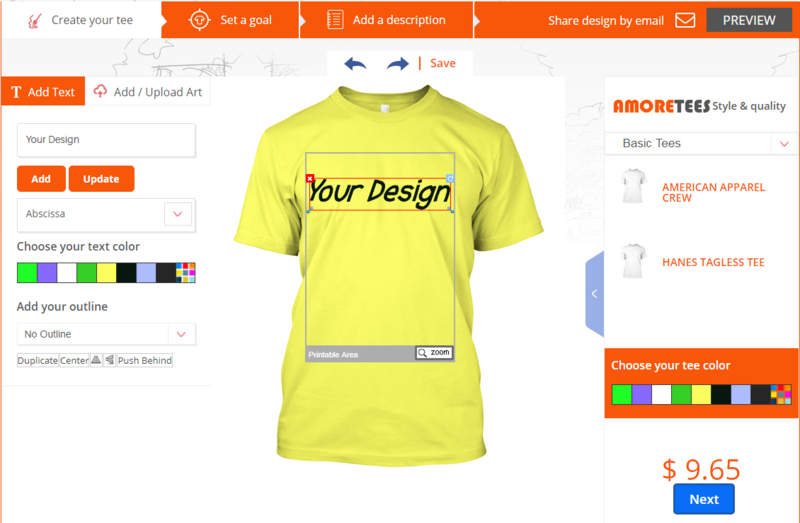 By integrating such t-shirt design software into your web-store makes it interactive and enjoyable for the customers. Now, without any further ado let’s take a look at the list of essential features that you need to keep in mind when choosing a t-shirt design tool. Following are the five must-have features that you should look in an online product design tool before buying it. Limiting your customers to certain design elements won’t be beneficial for customization. By giving them more options will enable you to hit nail on the head. Thus, when you are choosing a customization tool for your e-commerce store, make sure that it has advanced clipart management features. This feature will allow the customers to add cliparts to their design along with applying effects like crop and resize. Give customers full authority over designs and let them show their creativity. You should also make sure that designing tool has a social media sharing feature, which enables the customers to share their designs and also work as word-of-mouth marketing for your business. Making something that will always satisfy your customers is not a cake walk. Before coming up with a new solution, you have to consider new trends and also keep an eye on the latest images and quotes. But this is not enough, you also need to provide customers with different color options. After all, no one likes the same color. In order to provide such options, your tool should have a color management feature that will allow the customers to manage print colors for the t-shirt designs. This way, they will be able to easily choose the colors of their own choice to be added to the design. As the saying goes “an image is worth the thousand words”, so, using an image to express feelings and emotions is the best way than simple words. 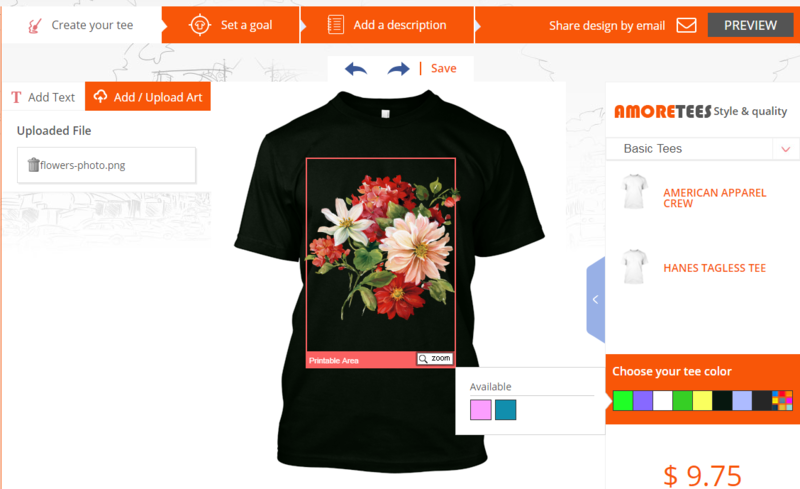 A perfect t-shirt design software will come with an option to upload custom images direct from the desktop of the user to add to their design. This will allow the customers to add personal touch to their design and make it more interesting and appealing with custom images. Custom image upload feature let your customers make unique and creative t-shirts designs. Drawing objects like star, circle, rectangle etc let customers form their own design from scratch. They are also useful for adding additional layers to a design. Your customer whether its an artist or a novice, they all can utilize drawing features to add personalized spin to their designs. This will make your customers happy and satisfied with the personalization features. Apart from adding cliparts, images and drawing objects to create t-shirt designs. A good online t-shirt design tool will provide customers with some general functions like adding numbers or texts on the design, layer management functionality, freedom to flip elements vertically or horizontally, alignment and positioning functions and more. The software should also enable the customers to preview the design before they finalize it. Your customers should be able to perform important designing functions flawlessly, so that they can create their favorite designs without any trouble or hesitation. So, these are the vital features that you should look for when trying to get a t-shirt design tool for your e-commerce or printing business. With the evolution of e-commerce business, more and more people are buying products and services online. The advancement in e-commerce is also due to the fact that every person is busy in their and they rarely have time to visit nearby stores and buy products of their choice. Plus, it is easy to purchase any products online as it takes only a few clicks to buy any product. However, the competition is getting tougher in this field and to satisfy the increasing custom base web-stores need to come up with new and innovative designs for their products. Demand for products like t-shirts can be fulfilled by making personalized tees. Online t-shirt design tool is the solution that enables the e-commerce businesses to produce fully personalized t-shirts for their customers that meet their requirements. This amazing software is a feature-pack solution that allows the customers to build any kind of design that strikes in their mind. 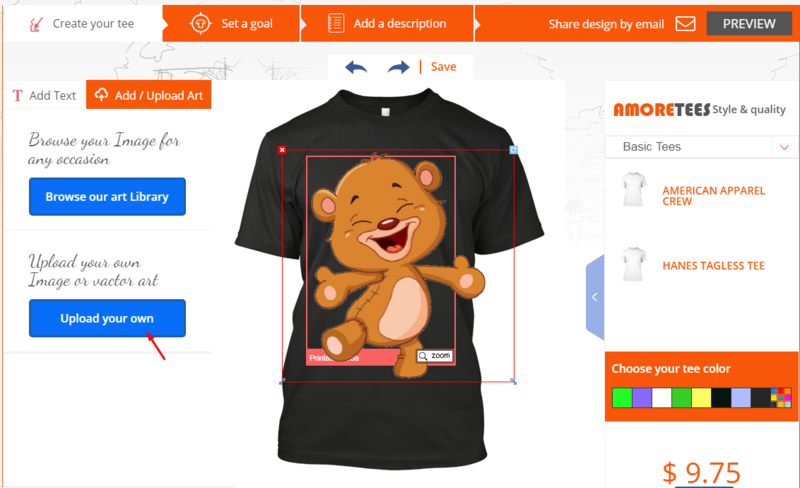 By integrating this product design software into your web-store, you can allow the customers to personalize t-shirts as per their own tastes and preferences and give boost to your t-shirt business.